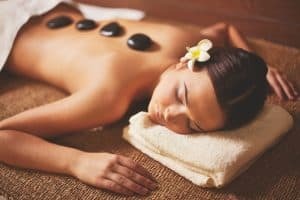 Are you looking for a massage Rockingham? Here at Needa Massage, Mark is a professionally trained and qualified remedial massage therapist he is dedicated to giving you first class massage treatment. He offers a wide range of massage treatments including Remedial Massage, Sports Massage, Deep Tissue Massage, Reflexology, Swedish Massage, Trigger Point Therapy, Pregnancy Massage and Aromatherapy. There are many benefits to a massage treatment. Only if carried out by a suitably qualified and experienced therapist. Mark has been in the massage industry since 2006. With a Diploma in Remedial Massage, an Advance Diploma in Therapeutic Massage, Reflexology and Aromatherapy. Mark continues to train and update his knowledge every year. Mark will treat you as an individual and tailor your massage to suit your needs. So whether you are having a Remedial Massage, Deep Tissue Massage, Sports Massage, Reflexology, Swedish Massage or Aromatherapy. You can be confident that you are in good hands. WHY CHOOSE NEEDA MASSAGE FOR YOUR MASSAGE IN ROCKINGHAM? Located near the freeway, bus routes and train station.